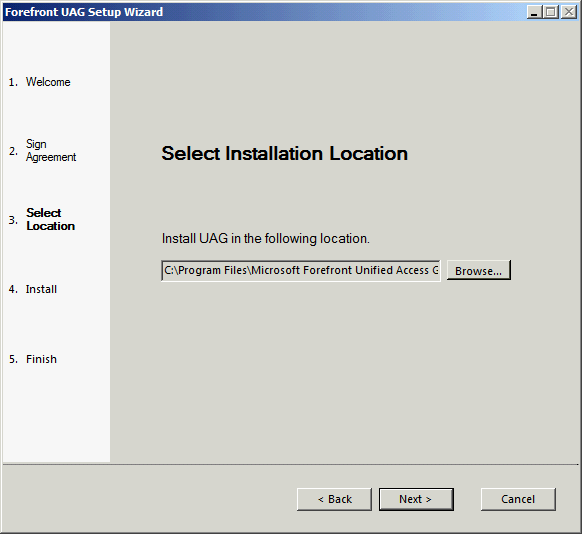 Although it takes a wile, installing UAG is really easy. 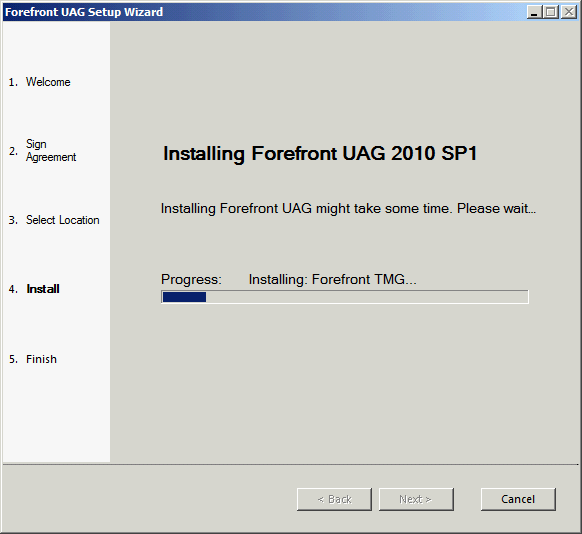 You can either install the RTM of UAG and then apply SP1 or you can install from media that already has SP1 baked in. 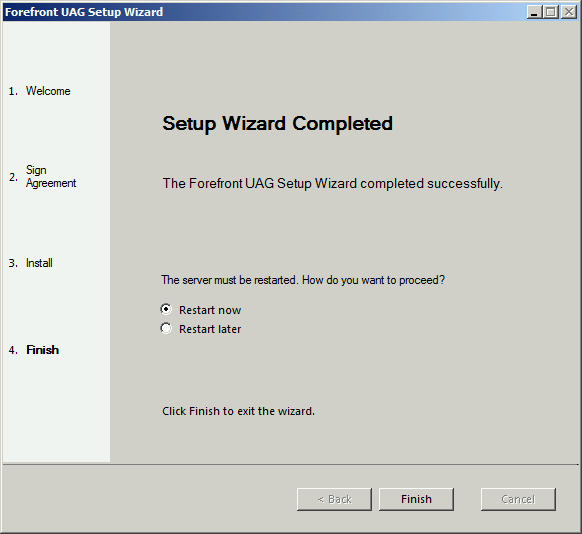 If you have the RTM media then check out my earlier installation guide and then come back here to continue once you have SP1 installed. Be sure to install the latest updates too. 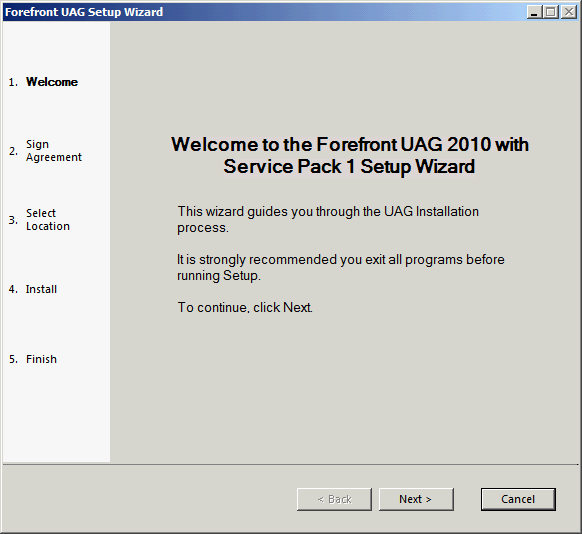 It can take a good hour or so to install UAG so you might want to do this over a sandwich or let it run at the end of the day and come back to it in the morning. I suggest you kick off the installation and while it's running just proceed with the next couple steps of this guide (PKI, Groups, NLS, etc) which will keep you busy for a while. 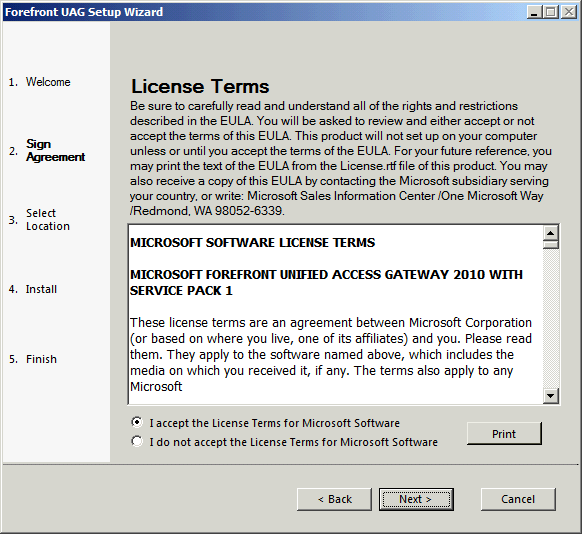 Click through the welcome screen Accept the license agreement Set the installation location (default is good) Wait for a couple minutes while it installs Roles and Features, Forefront Threat Managment Gateway and the Forefront Unified Access Gateway. When it's done, reboot.